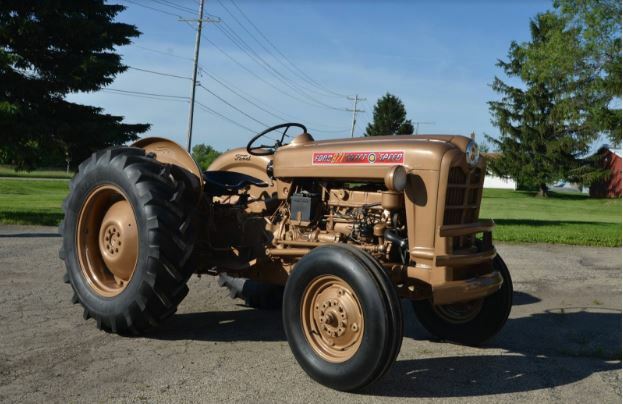 This tractor is a 1943 Minneapolis Moline ZTU. 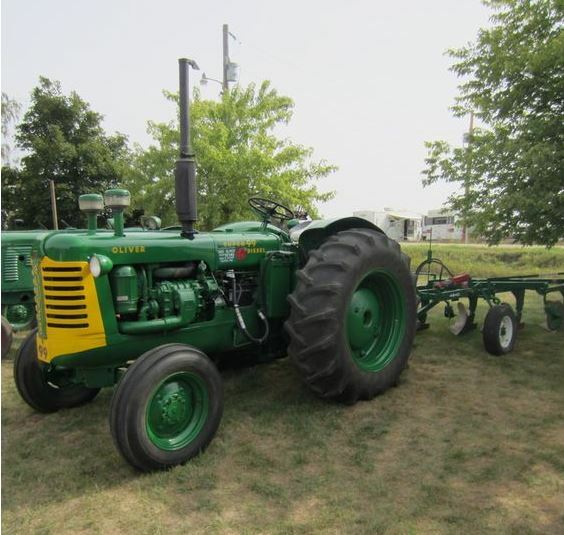 It was sold new by the owner of Coleman Equipment in Bonner Springs, KS. 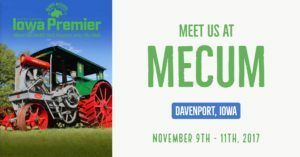 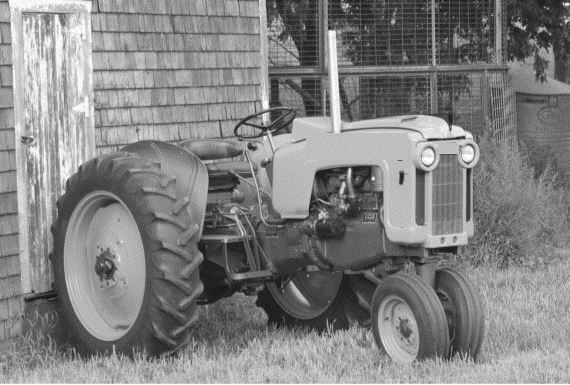 Of course, new tractors were very scarce during the war but the story I was told was that the dealership learned of this new tractor being stored on the seventh floor of a warehouse in Kansas City and was able to obtain the tractor to sell to a farmer. 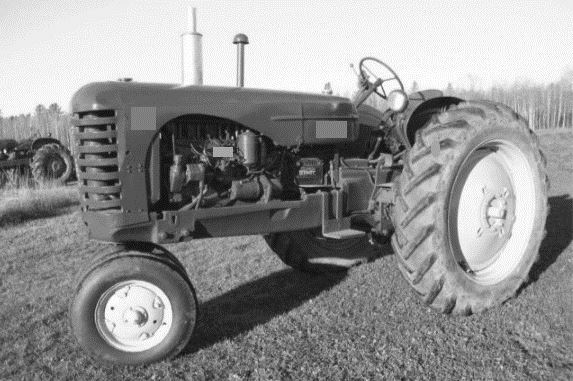 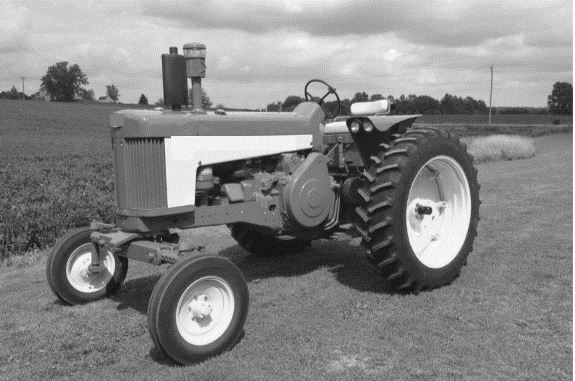 Approximately 40 years later that same tractor was traded back to Coleman Equipment by the original farmer. 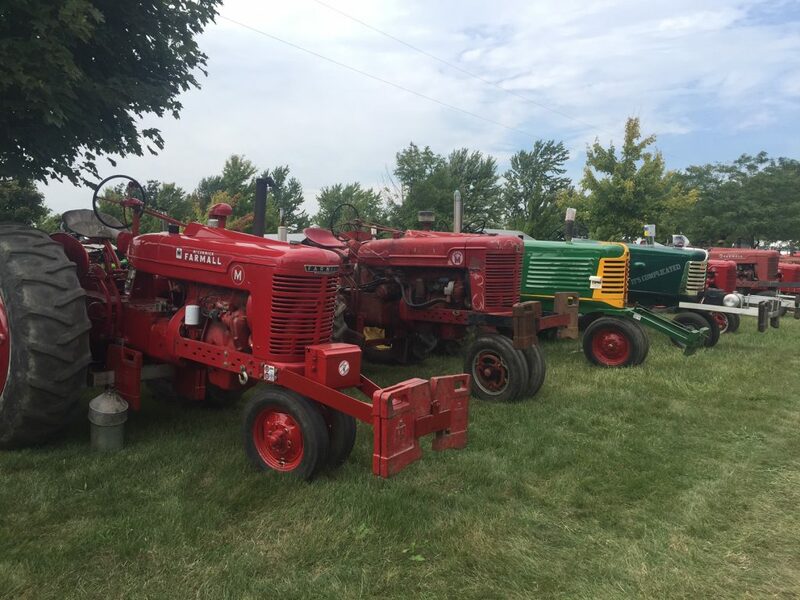 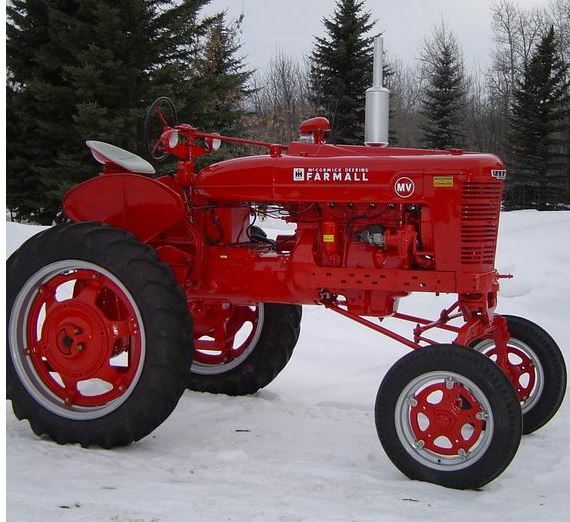 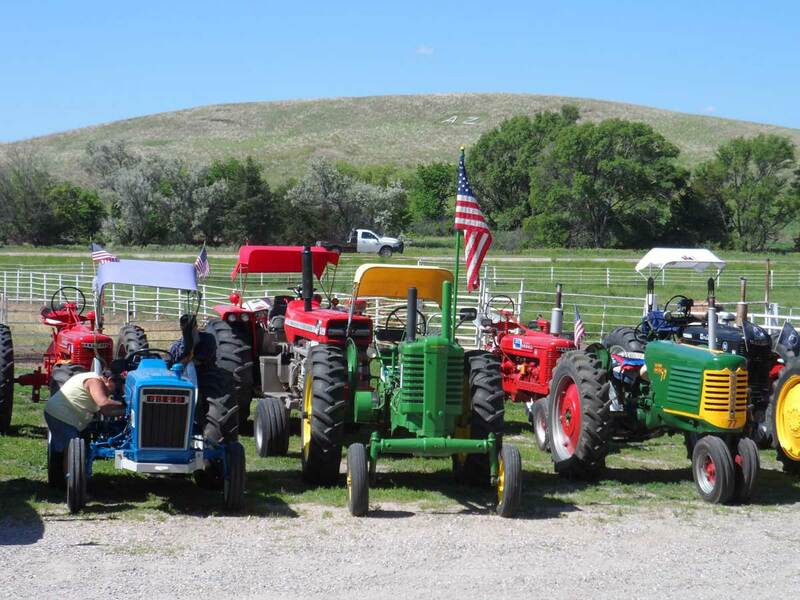 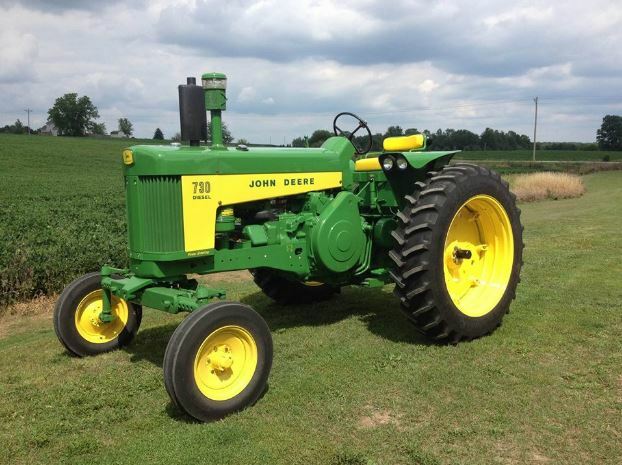 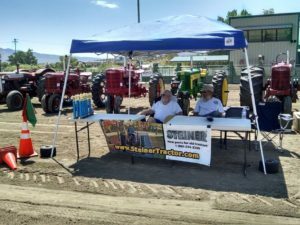 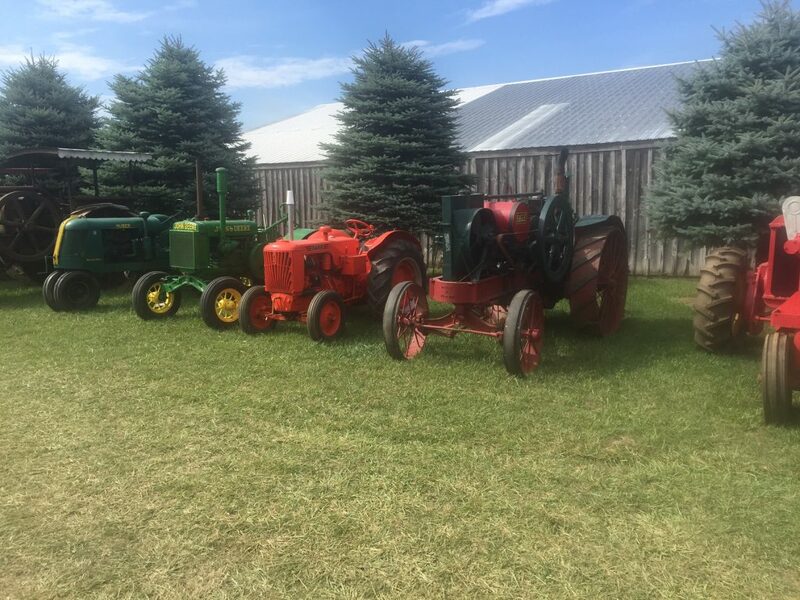 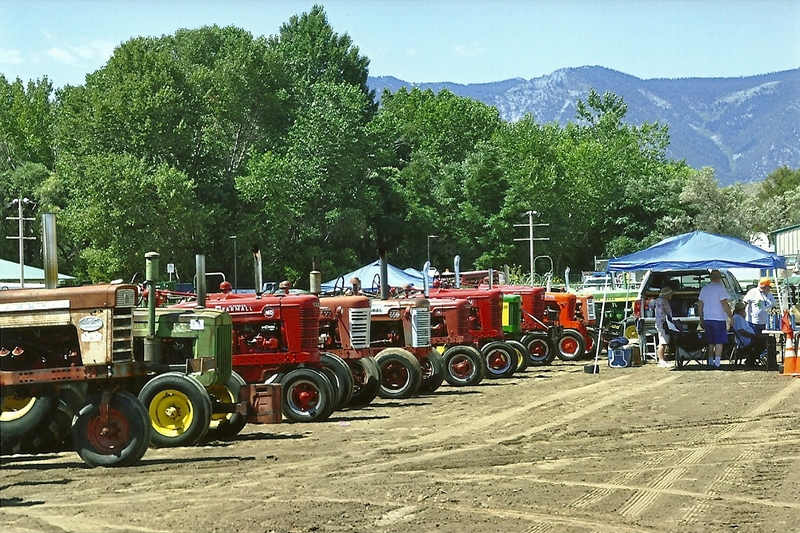 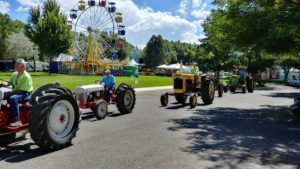 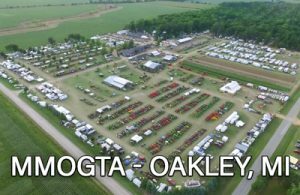 At that time the original dealership owner decided to restore the tractor and keep it as part of his collection. 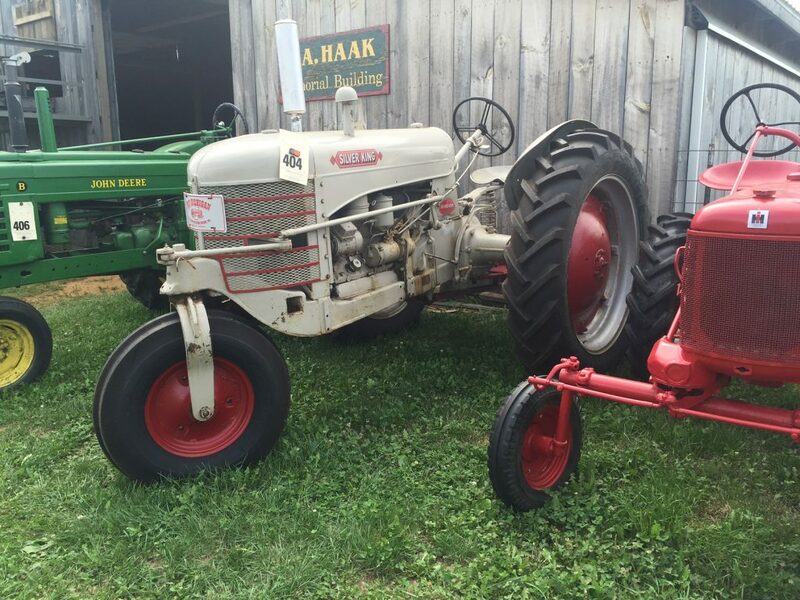 I was very fortunate to be able to purchase this tractor in 2015 and I look forward to enjoying it for many years and preserving its history. 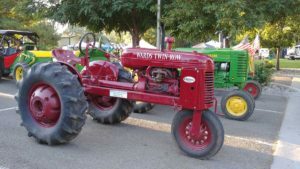 “As the pace and size of farming grows, so grows the need for power… Power that can wheel wide, acre-covering gangs of implements. 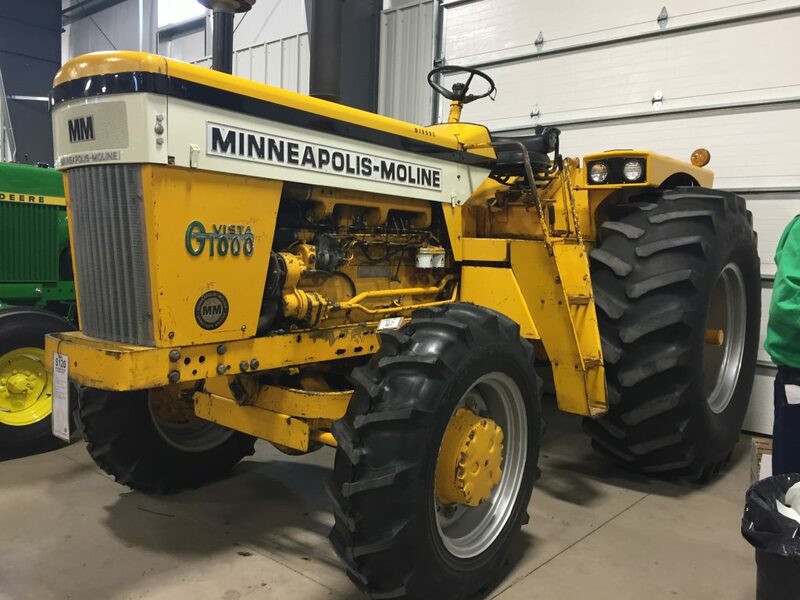 Power that can do two jobs in the time it would take to do one.” These lines are from an original 1967 advertisement for one of my favorite Moline tractors: the big MM G1000. 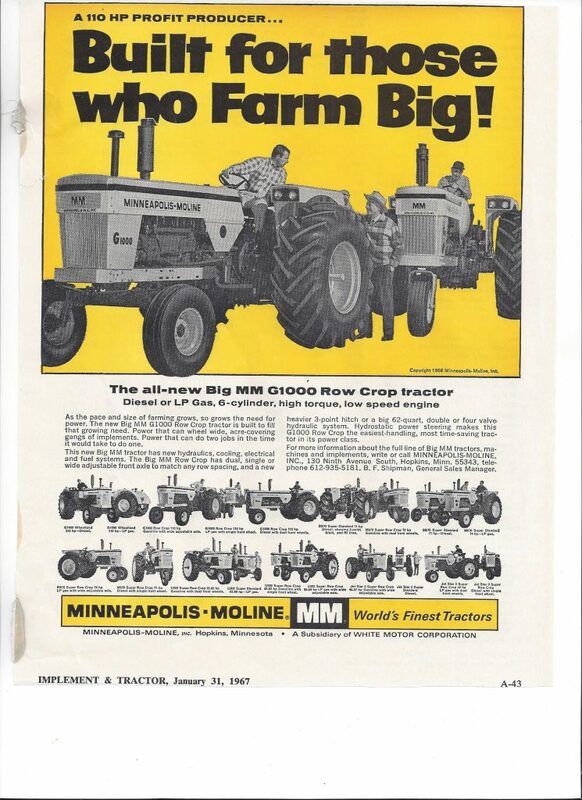 I love this advertisement so much that I made it a part of my personal literature collection. 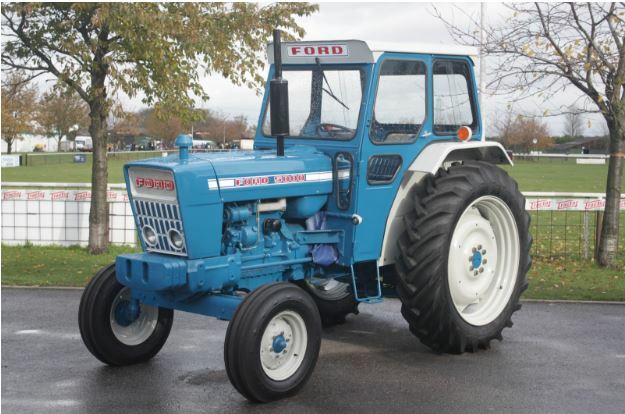 The G1000 is a classic for a reason – but have you heard of some of these collectible models? 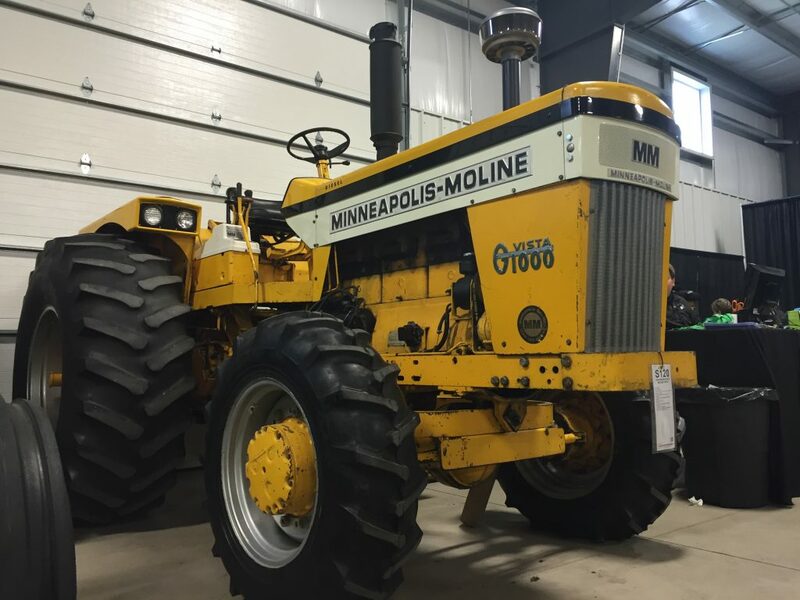 When I was the Mecum auction in Davenport, IA in April, this rare G1000 Vista Diesel with FWA was offered for sale. 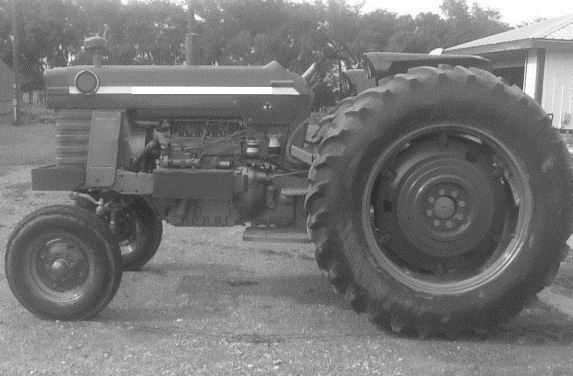 The casting number located under the platform confirmed that it was a FWA model from the factory. 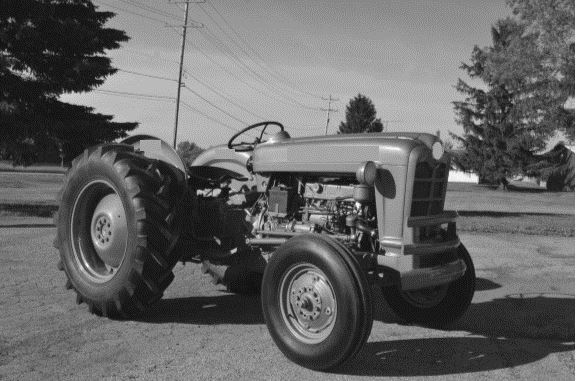 The tractor belonged to a farmer and collector from Sulley, Iowa. 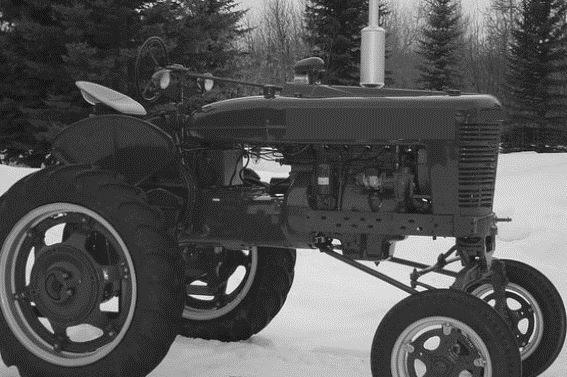 He purchased it in Canada in 2007 but had a 4-month struggle with customs while attempting to bring it across the border. 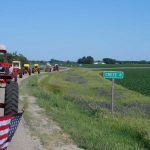 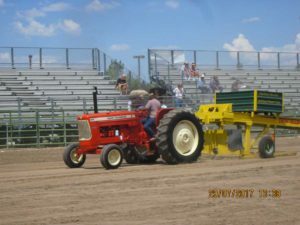 After getting a lawyer involved, it was finally released from customs and put to work on his 6,000 acres of corn and soybeans. 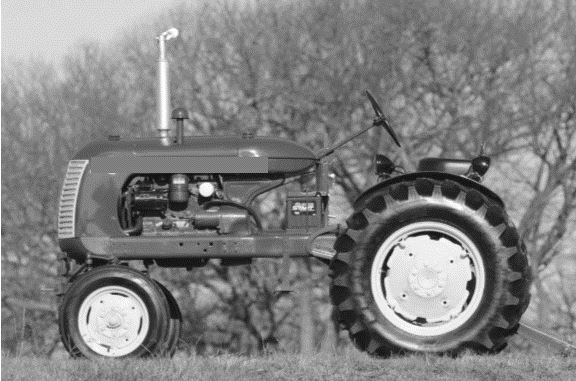 The Vista models sit higher than the standard G1000, providing extra visibility and dust protection. 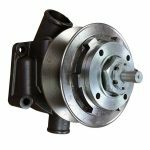 They also separate the driver a little bit more from the heat from the engine. 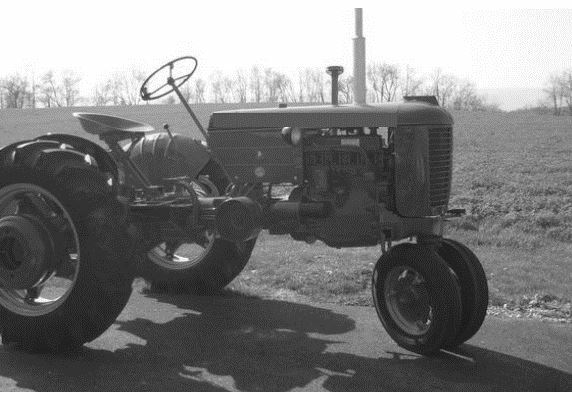 A shifter on the side is also more comfortable for the driver. 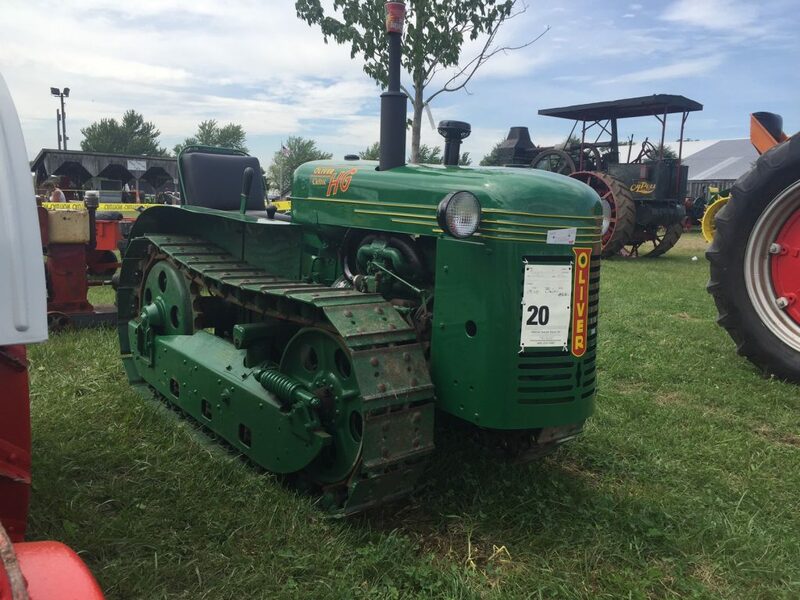 Vista models are neat, but when combined with the FWA option they become even more special. 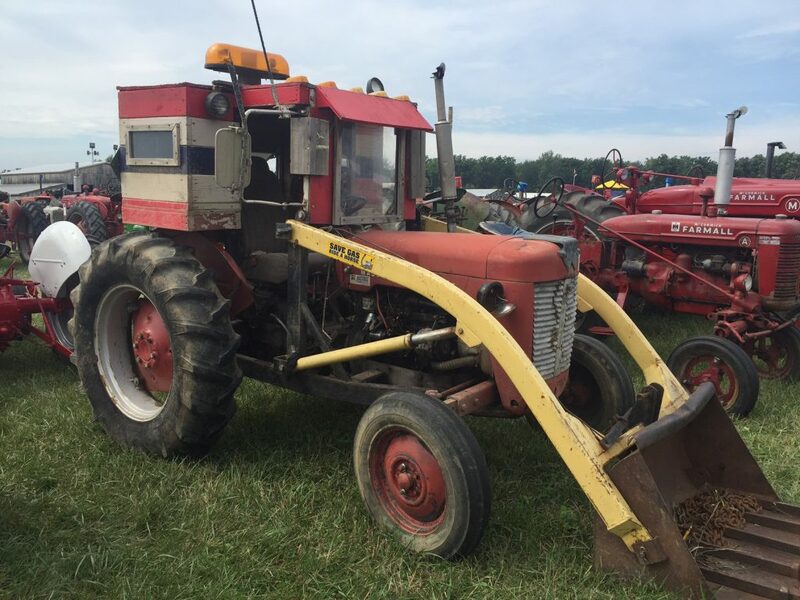 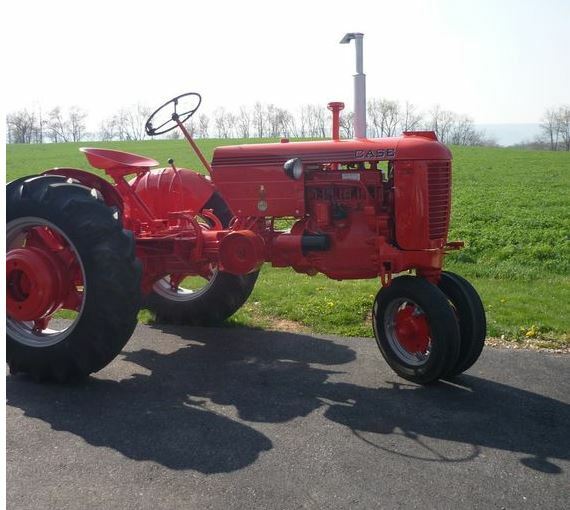 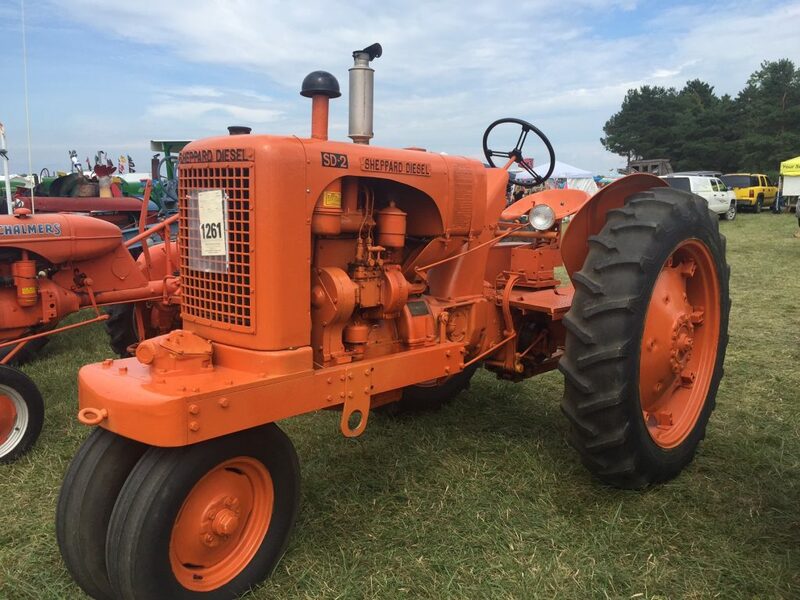 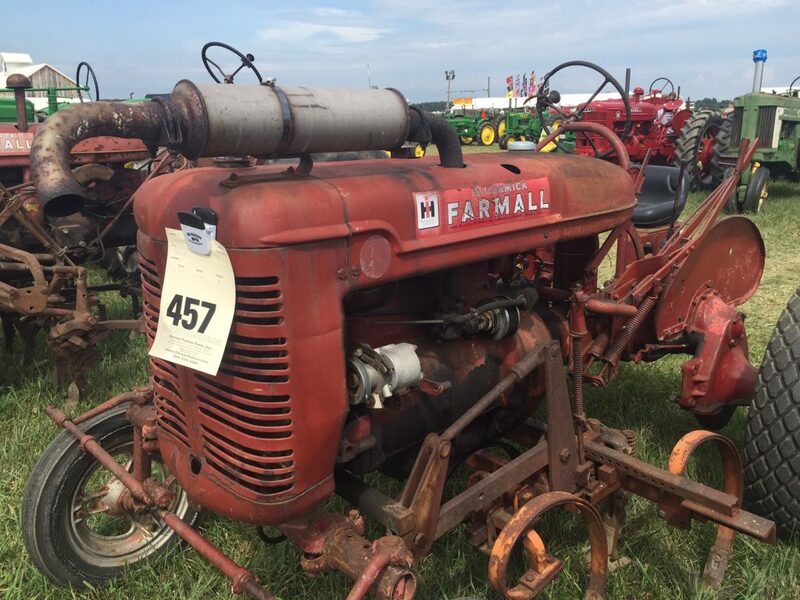 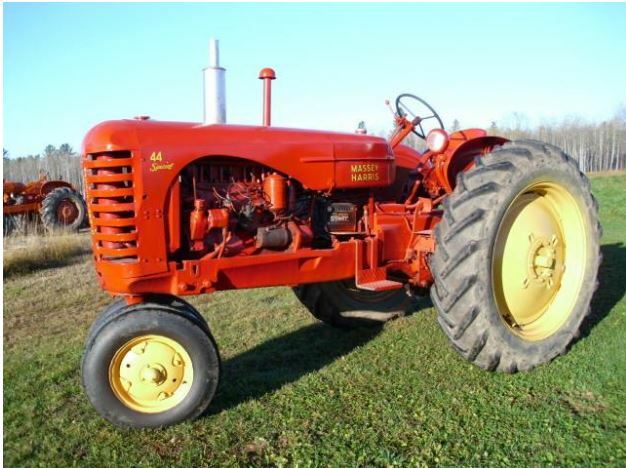 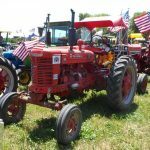 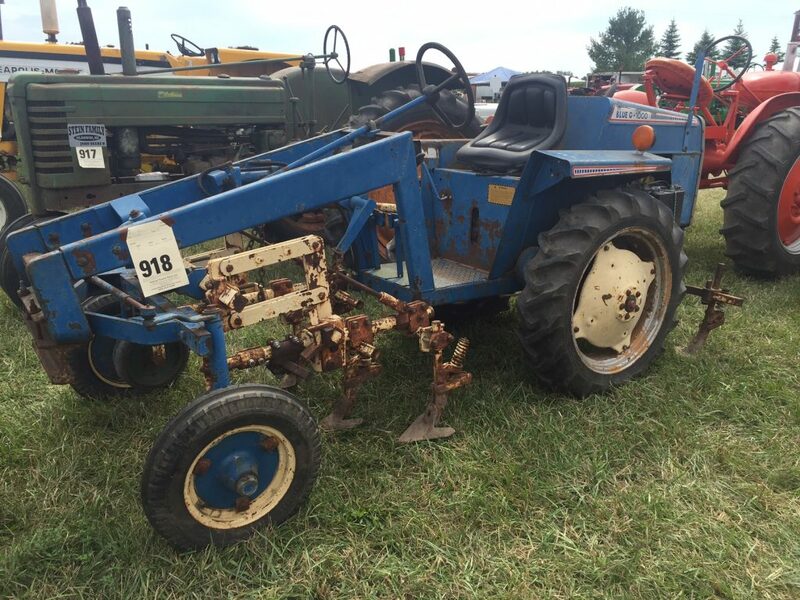 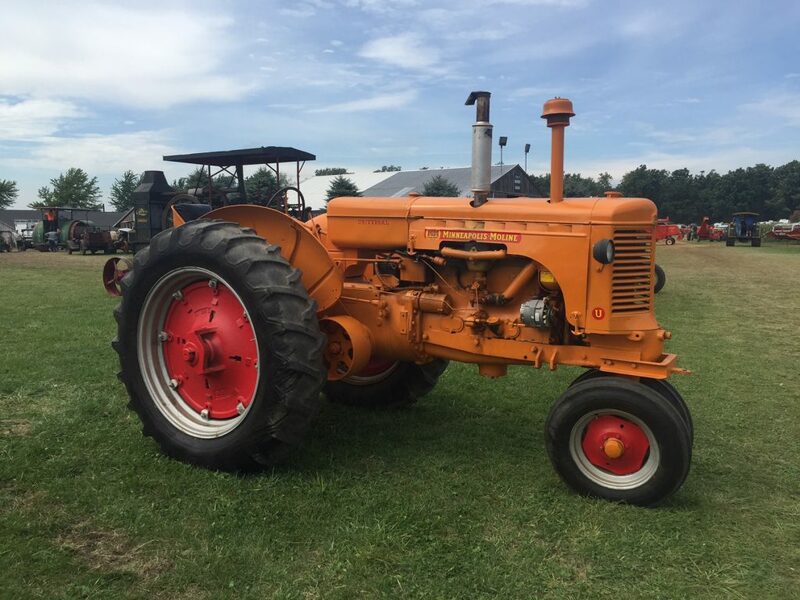 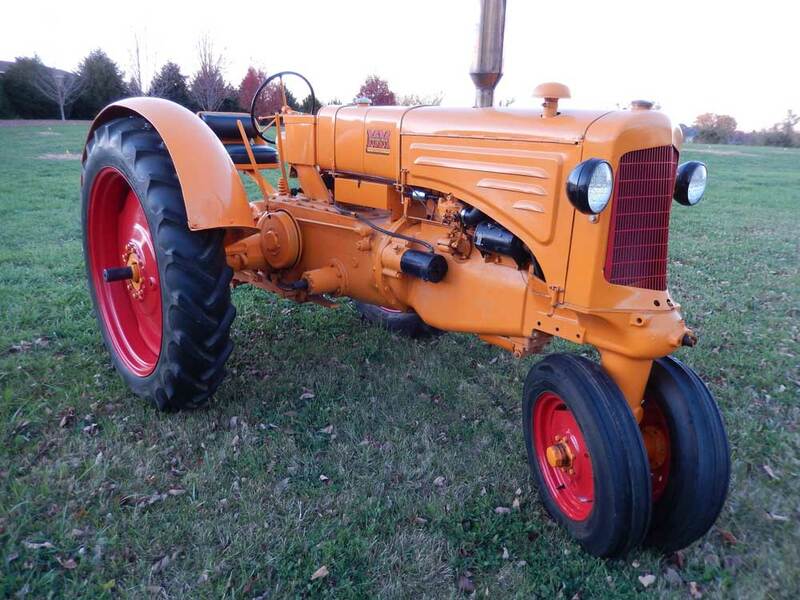 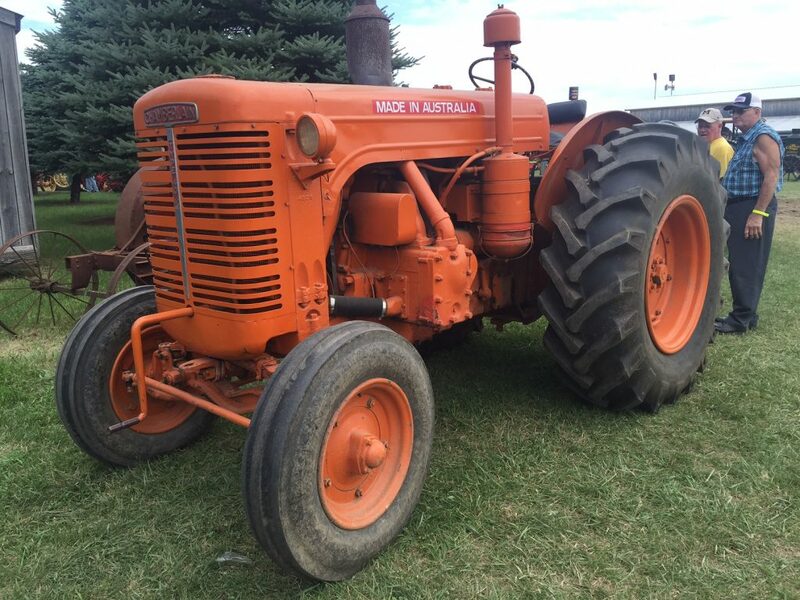 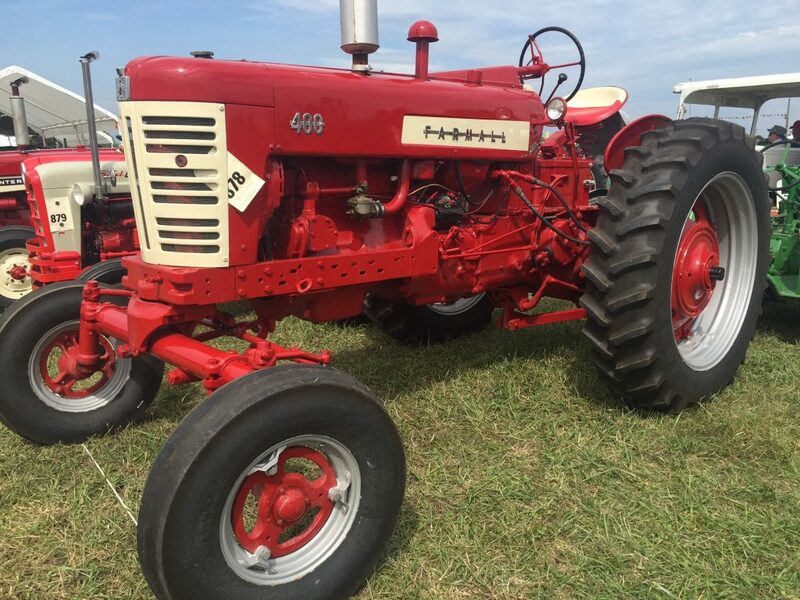 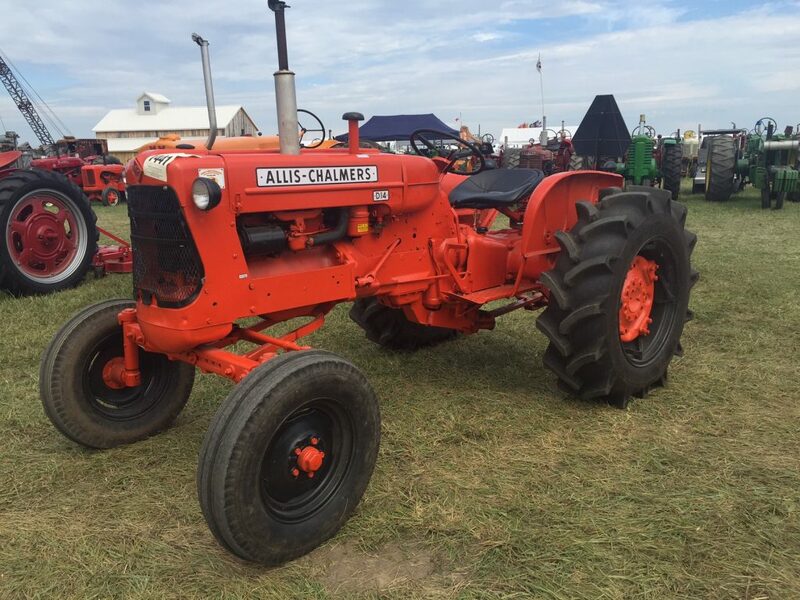 According to the seller, this tractor was one of 52 FWA models originally made, but Moline collectors only know of about 25 remaining. 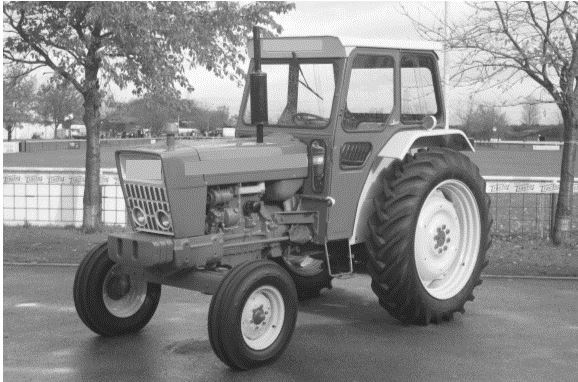 The FWA option was offered from the factory for two years, 1968 and 1969. 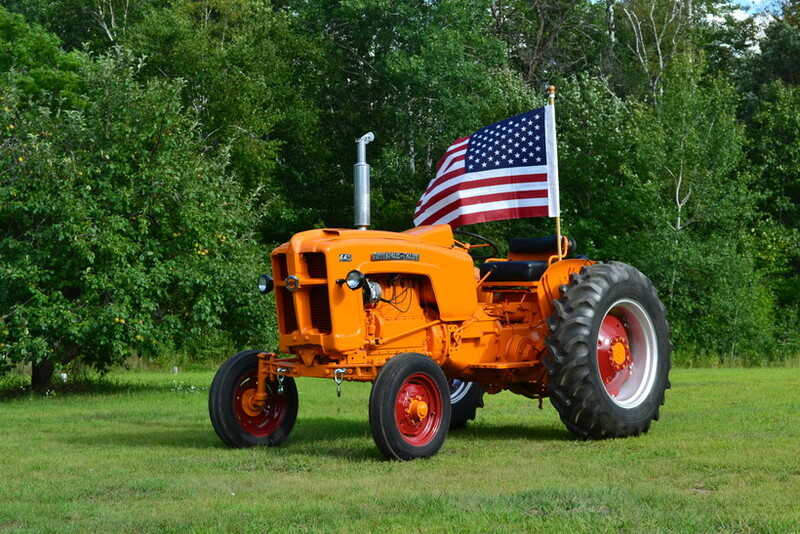 This combination is rare enough to be very valuable. 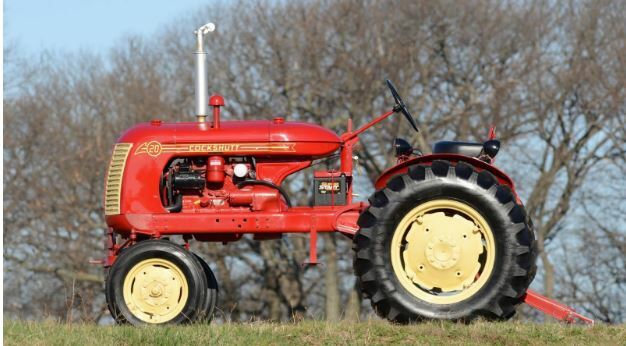 The gavel fell at the Mecum auction this past April at $44,000. 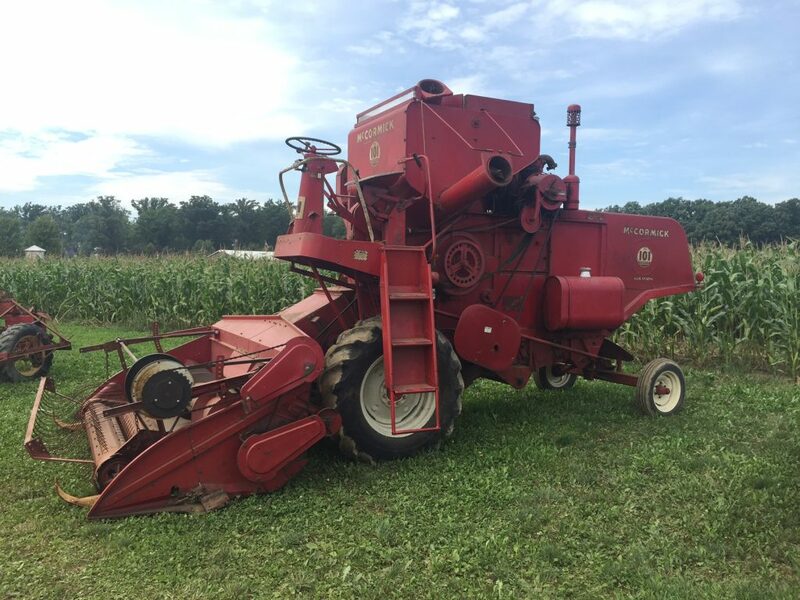 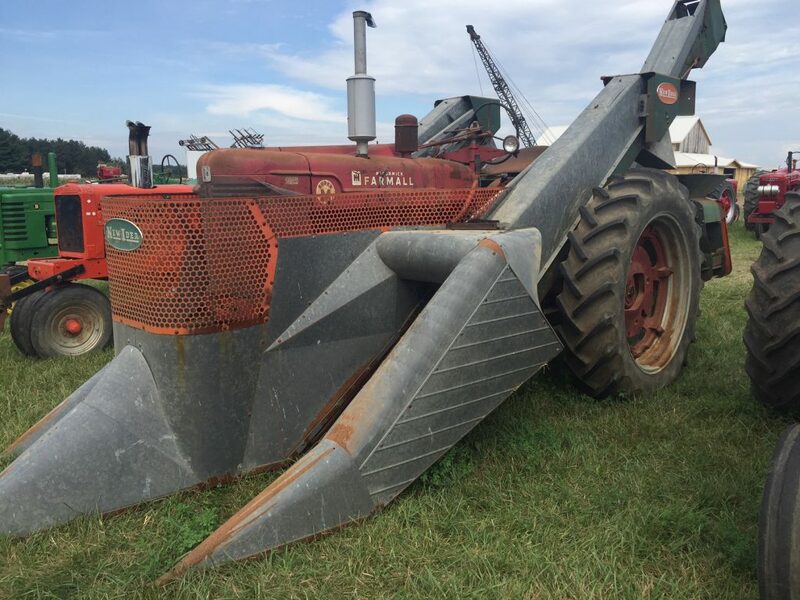 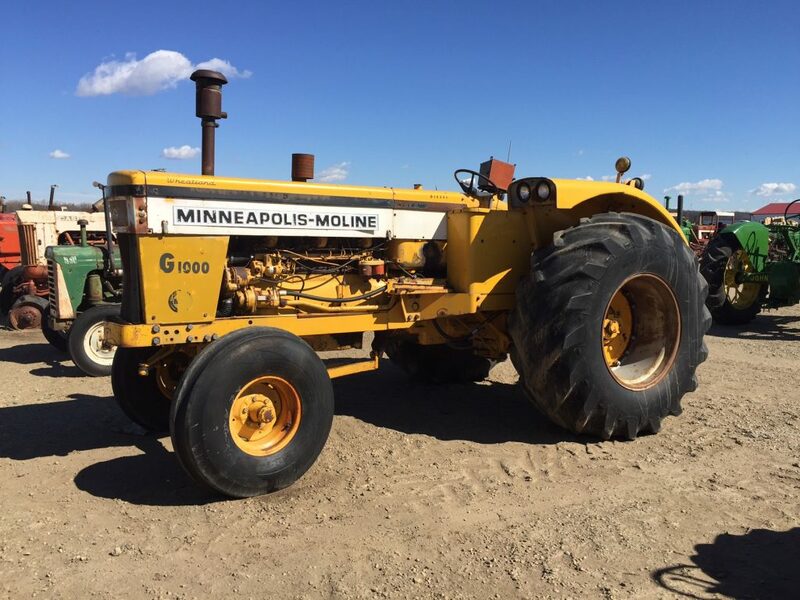 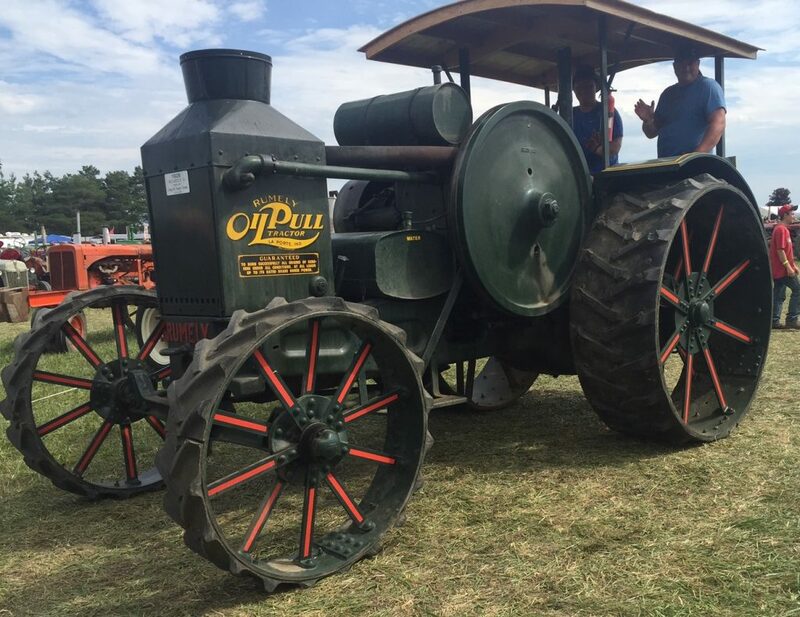 Auction results from Machinery Pete show that a similar model in running, original condition sold for $32,000 back in November of 2015. 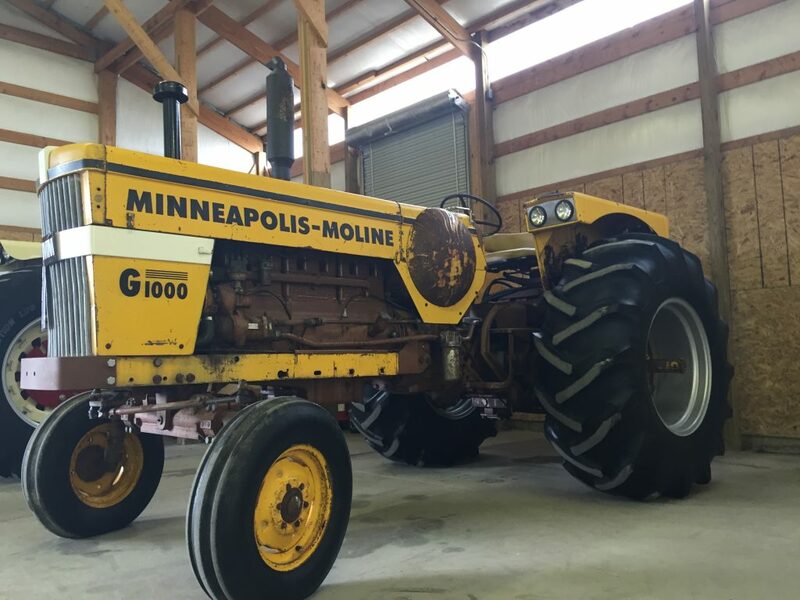 This wasn’t the only interesting G1000 for sale at the Mecum auction this past April, either. 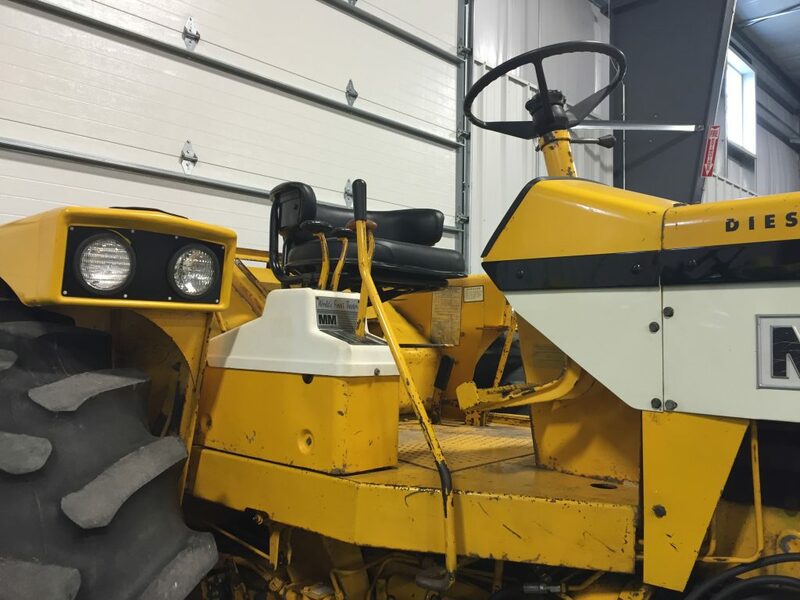 The very first retail G1000 Row Crop LP also crossed the auction block, although the seller’s reserve was not met. 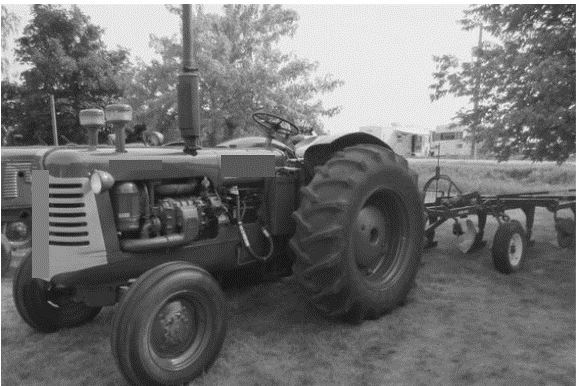 The G1000 was also offered in a Wheatland version. 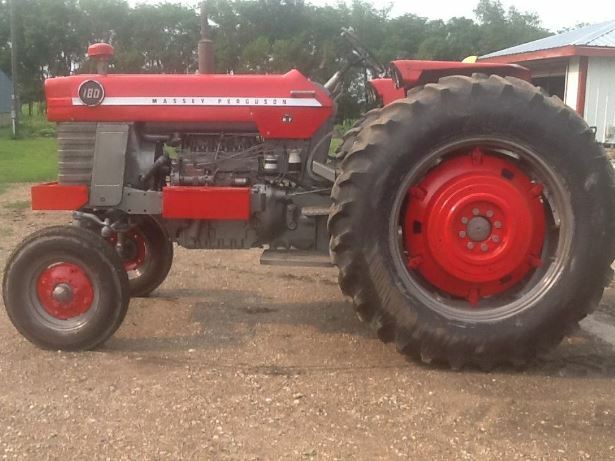 Here’s a picture of one offered for sale at the Polk auction this past March. 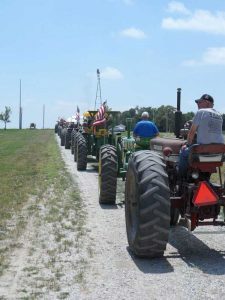 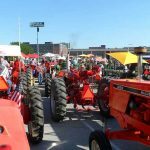 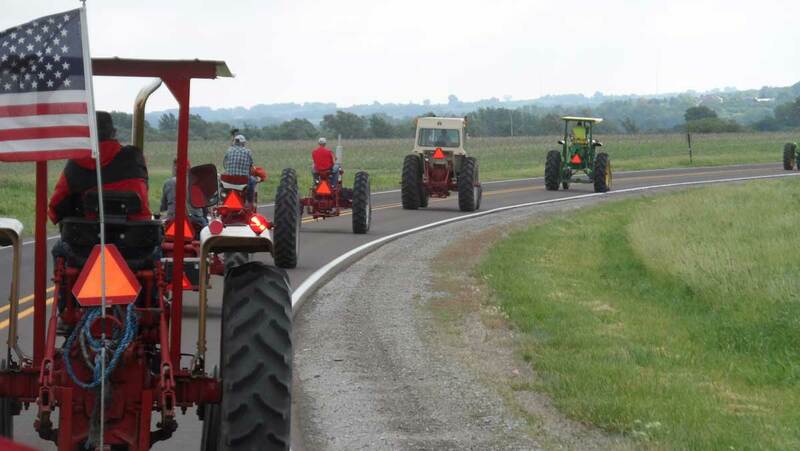 Moline called themselves the World’s Finest Tractors. 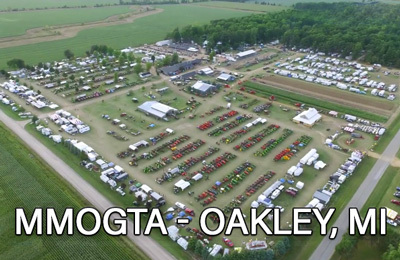 What a slogan! 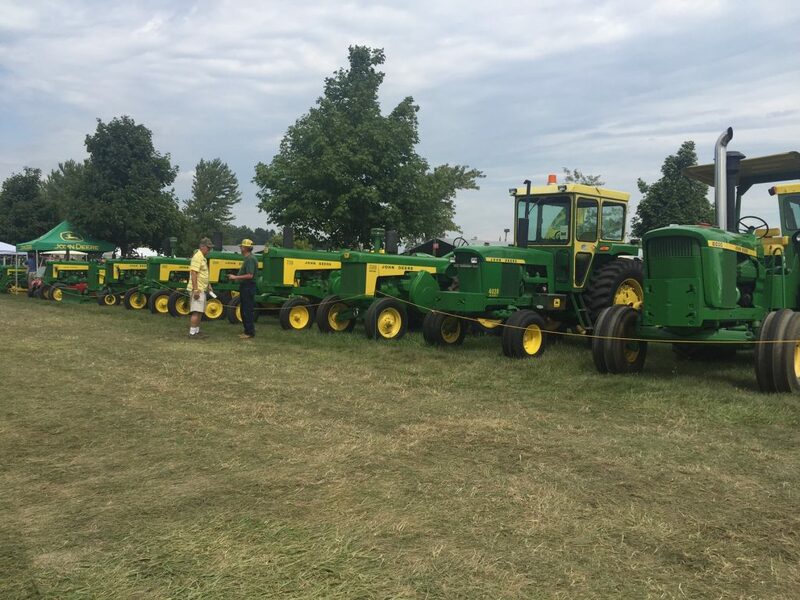 These G1000s are sure persuasive.